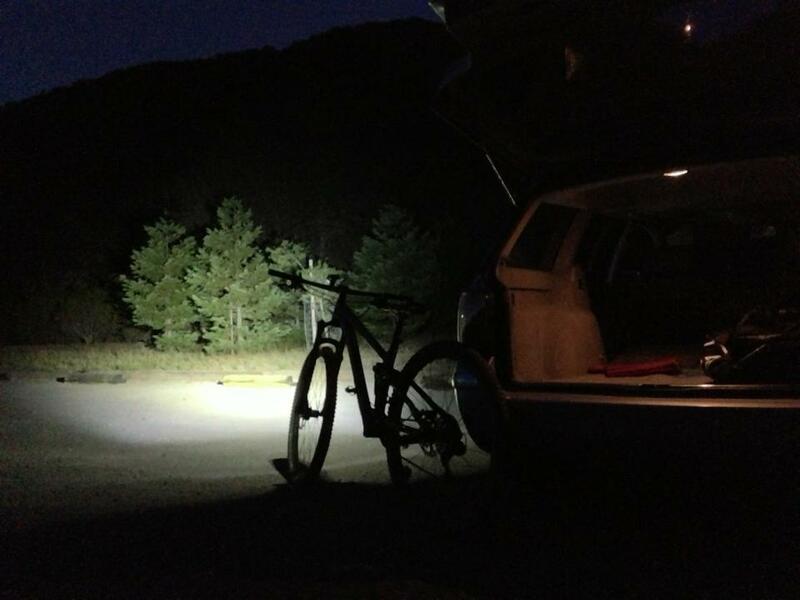 A couple years ago, Cateye wowed us with their Nanoshot 250 lumen light. It was far from the brightest light we’ve used but it was one of the slickest, well-constructed small lights we’ve seen. 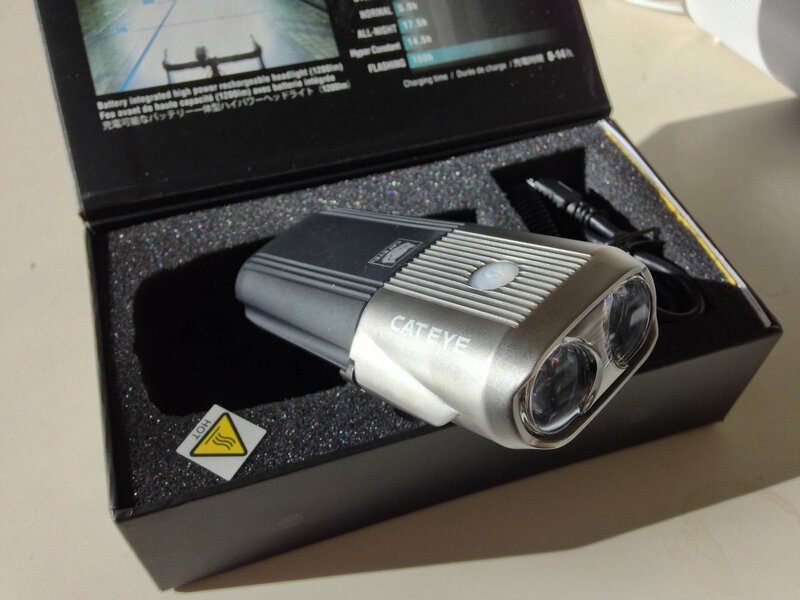 We reviewed the system here https://reviews.mtbr.com/cateye-nano-shot-2012-mtbr-lights-shootout and we were impressed by its packaging, light output, and price. And we were reminded that Cateye is a brand that delivers quality products. Heck our old Cateye bike computers in the tool box are still ticking away, a decade later. It just wasn’t quite bright enough for mountain biking use. 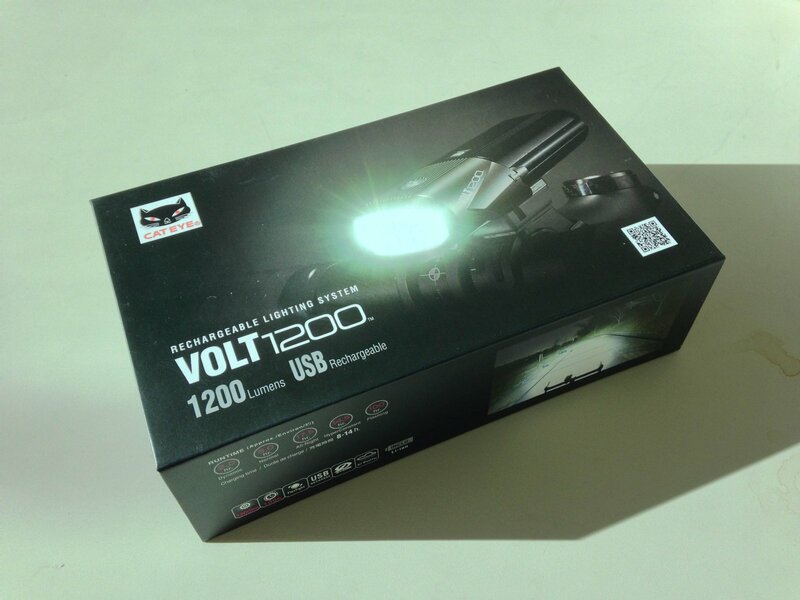 Now we received the Cateye Volt 1200 light that retails for $200. It’s about twice as big and heavy and pricey as the Nanoshot but it is more than four times brighter. We like that trade-off so we eagerly opened the package with anticipation. It’s just like the Nanoshot in terms of construction and ergonomics so we have no complaints there. 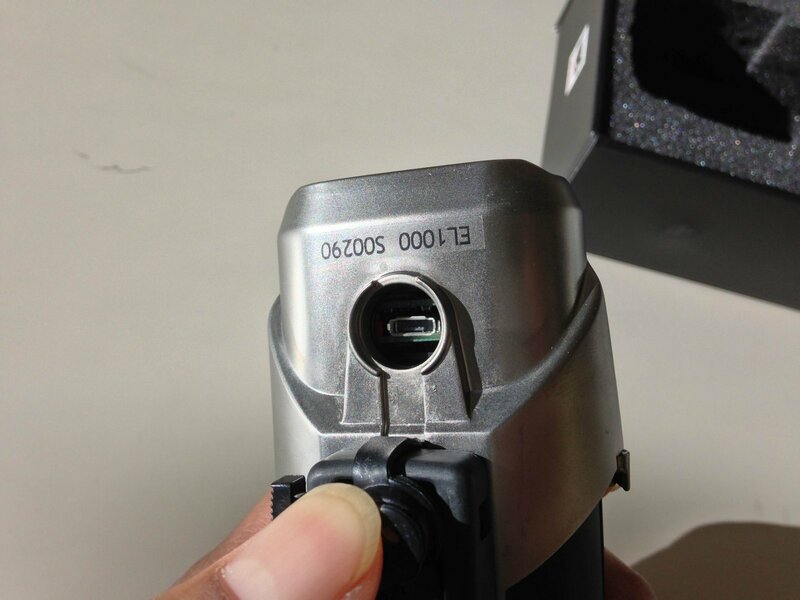 The switch is easy to use and it displays a color that indicates mode and battery capacity. There’s 5 modes to scroll through with three light levels and two flashing levels. Unfortunately, the user has to scroll through all the modes to change brightness levels. For mountain biking, we’ve found that two modes are ideal, low and high. Every other mode, specially flashing is just a distraction. It’s ok to have those options but we’d rather them be hidden modes. Charging again is done through a USB port so charging is convenient with any USB power source (not included) but it is slow at 8 hours from empty. Mounting is done by the classic Cateye Flex Tight bracket. This is similar to the old twist knob brackets found on old bike computers. It is proven and it works. They put about 10 degrees of rotation so the light can be aimed and centered. We were concerned that this bracket would not be able to hold the light securely with no shake on rough terrain. But our first test rides have proven that it is secure enough. Run time is pretty standard at 1.5 hours for the highest setting. 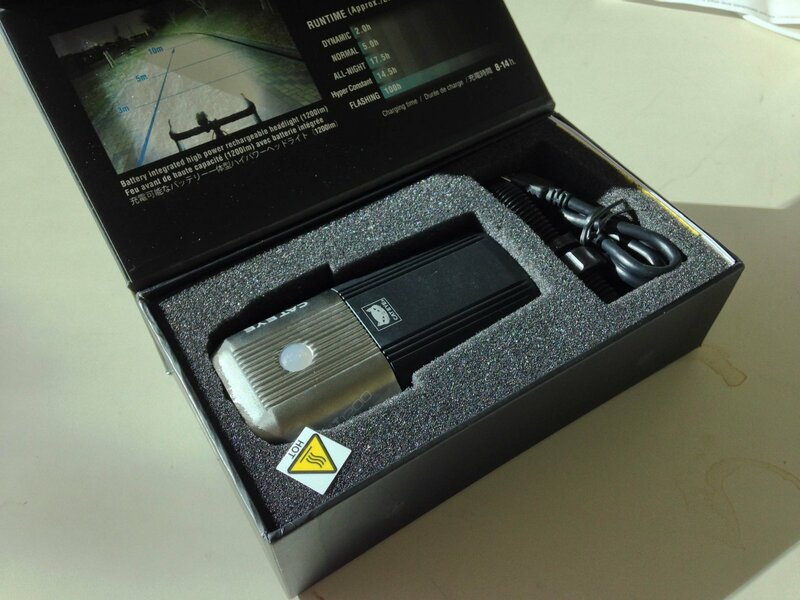 But the great news is leave it in Normal mode aka 800 lumens and you’ll get 2.5 hours. We took it for a test run and we are impressed. The light is absolutely bright and it throws a pretty big, wide beam. It was easy to see and go fast. On switchbacks, it was actually decent since the beam is so even. We’re curious to see if this will work with some of our helmet mounts that simulate a handlebar. It’ll probably be on the heavy side but under 250 grams is usually acceptable as long as it’s centered on the helmet. 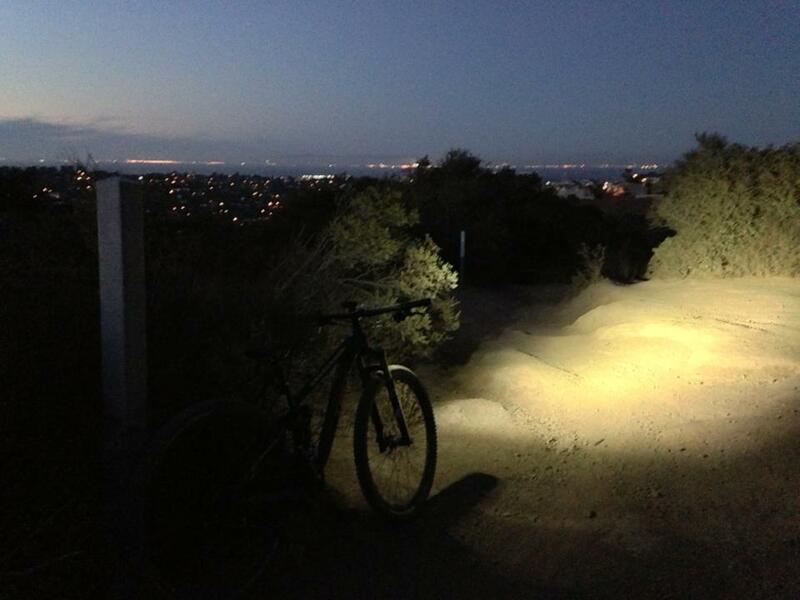 So far, thumbs up and we’re looking forward to a great season of lights testing and night riding. Stay tuned for a full-on test with beam patterns and integrating sphere output testing. I’m really tired of “bike lights” that aren’t focused properly for street / bikepath use. If you want a light for the woods, fine get one with a round beam. Otherwise it needs to be a low beam, with a sharp vertical cutoff like the fine B&M Lumotec lights and others that can be legally sold in Germany. 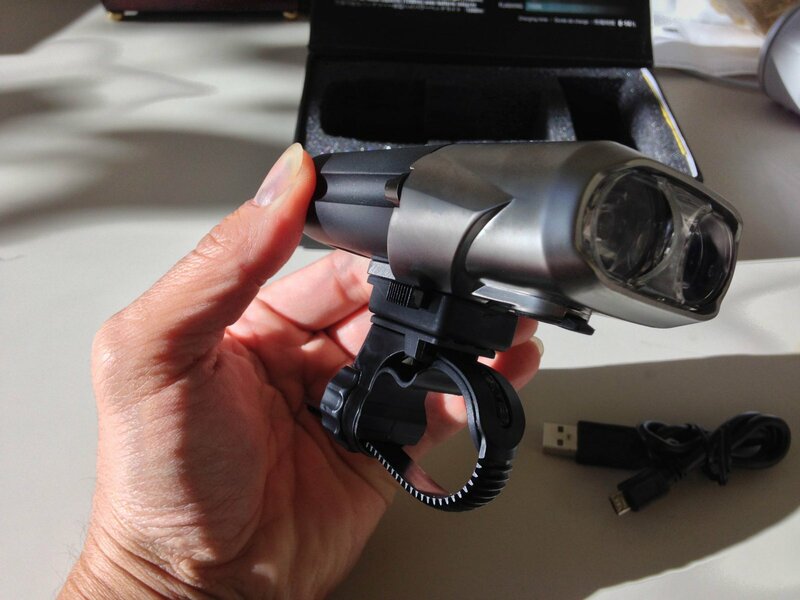 Well, it’s definitely powerful enough but all these bike lights seem way overpriced for what they really are and you really want to be able to turn it on or off with a low beam option. the flashing modes are stupid and irritating. Nobody wants to keep pressing buttons to get to the mode you are looking for.8 hours USB charging is miserably slow. You need this thing charged for when you are riding at night.Needs a mains charger. And agree with Joel beam needs to be focused properly so you are not blinding people. Except for all these things,,,it’s a good light. But that’s a lot of things!